We were approached by the Medical Research Council and asked to quickly pull together a simple site for a new £25million project. 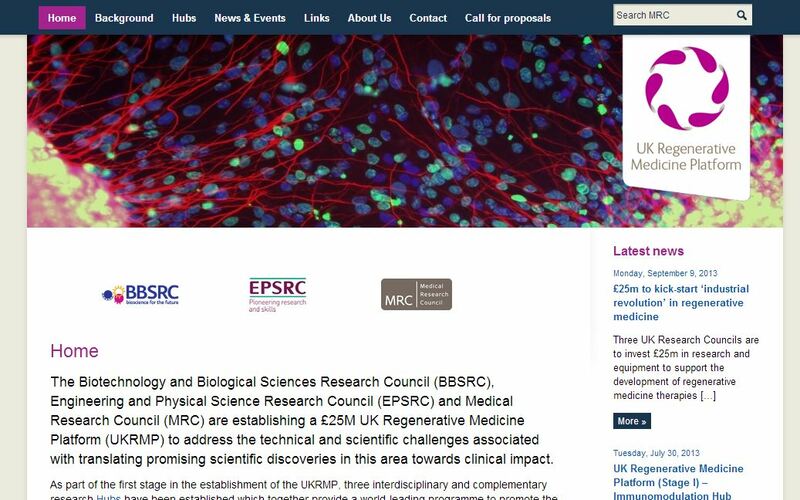 The project, knows as the UK Regenerative Medicine Platform, will address the technical and scientific challenges associated with translating promising scientific discoveries in this area towards clinical impact. We had just a few weeks to pull this site together and to that end we adapted an existing WordPress theme which enabled us to deliver their brief to their tight timescale. This piece of work has lead to two new pieces of work with the Medical Research Council, who we have really enjoyed working with. 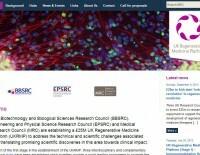 The MRC’s Toxicology Unit now has a shiny new website and we also developed a new site for the Medical Research Foundation.